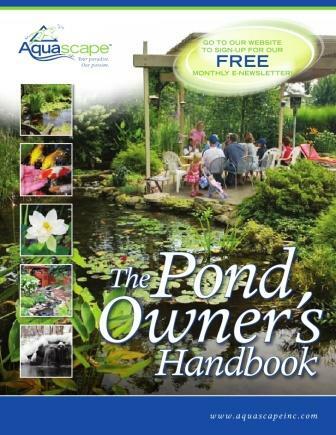 A Heron Decoy deters herons from coming to your pond by making them think another heron is already there. They will avoid confrontation and fly on to the next pond hopefully leaving yours untouched for that day. TJB-INC offers two different styles of Heron Decoys. Pick the one that best suits your needs. Our White Swan Decoy will help deter Canada Geese from landing in your pond or water garden. White Swans are very territorial and will fight off most intruders who venture into their area. Geese and ducks will not want to confront an angry White Swan and most times will choose another body of water to land in. Coyote Decoy Great for keeping those pesky Canada Geese away. This realistic, life-sized coyote decoy offers a safe, humane and efficient solution to geese problems at golf courses, city parks, airports, corporate grounds, homes and more. 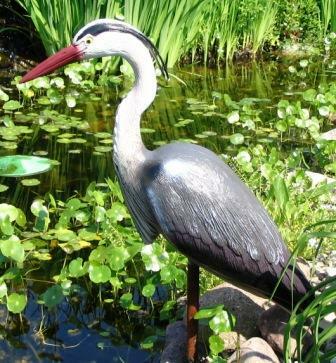 81030 Aquascape's Standing Heron Decoy deters herons from coming to your pond by making them think another heron is already there. 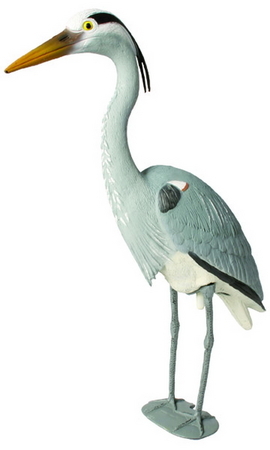 Very realistic standing heron, stands 29" tall. Swan Decoy Use for decor or to deter geese. 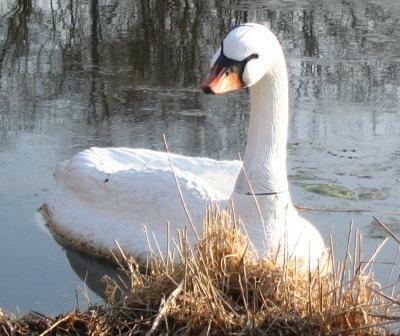 A White Swan Decoy has proven to effectively ward off Canada Geese from your pond or property because they are know to fight for their territory. Buy 2 or more and save money!